Back Roads is in now available on-demand & cable. Find out where to watch! After his mother, (a gritty Juliette Lewis), is imprisoned for killing his abusive father, Harley Altmyer (Alex Pettyfer) is left to care for his three younger sisters in rural Pennsylvania. Harley forgoes his college education, working dead-end jobs to pay the bills and raise his siblings, including his rebellious and promiscuous 16-year-old sister, Amber (Nicola Peltz). Scarred by his past, Harley becomes infatuated with Callie Mercer (Jennifer Morrison) the older married woman who lives nearby. Things take a dangerous turn when they embark on an affair and shocking family secrets soon begin to emerge. As Harley’s life spirals out of control, unspoken truths leading to a devastating conclusion come to the surface and threaten to consume him. Based on the Oprah’s Book Club pick of the month and New York Times bestselling novel by Tawni O’Dell, Back Roads explores the impact of family trauma with a powerful and visceral noir thriller that leaves audiences breathless until the last moment. Back Roads was adapted for the screen from the 1999 NYT bestselling novel of the same name by Tawni O’Dell. The novel was her debut and sold many millions of copies worldwide, then became an Oprah’s Book Club pick of the month in 2000. Read more about O’Dell’s inspiration for Back Roads here as well as her experience being on Oprah - The Oprah Effect – here. The journey to bring my New York Times bestselling novel, Back Roads, to the screen has been a long, challenging one with many detours and obstacles along the way. For years I’ve listened to fans of the book ask me, “Why hasn’t it been made into a movie?” I wondered the same thing! There were moments when I believed this movie may never happen and despite the fact that I authored the novel and adapted it into the screenplay, I often felt powerless and out of the loop. Then along came Alex Pettyfer, a passionate young actor who had wanted to play Harley for a long time. The opportunity arose for him and his producing partner, Craig Robinson to take over the film and also for Alex to direct. This would be his directorial debut, a daunting challenge for him and a somewhat nerve-racking one for me. The first time I saw Back Roads I was too freaked out to enjoy it. The second time I began to wonder if it truly was as good as I thought it was. So I paid attention to people leaving the theater after the show. They weren’t on their phones or talking about where they were going to dinner: they were talking about the film. The third time I saw it I was able to let myself go and become immersed in what I was seeing. I was so impressed with what Alex did with the material and with the performances of the cast. They were all amazing. They had brought my characters to life. Now I’m looking forward to seeing Back Roads a fourth time and I can honestly, happily say, I love this film! Having run the Back Roads movie fan account on Instagram for over a year now, I had been anticipating the film for so long and actually getting to see the final product come to life at such a special event felt like an incredible honor. 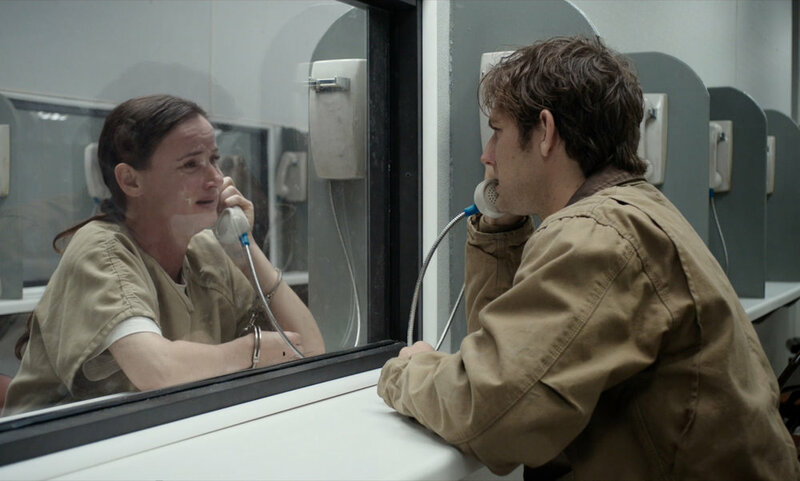 For his directorial debut, actor Alex Pettyfer (I Am Number Four, Magic Mike, Elvis & Nixon) examines such a dissolving family in Back Roads, a dark, claustrophobic thriller that stays on your mind long after viewing. In his directorial debut, Pettyfer deals masterfully with a layered screenplay by Adrian Lyne (Fatal Attraction, Indecent Proposal) and Tawni O'Dell and elicits moving performances from the entire cast.